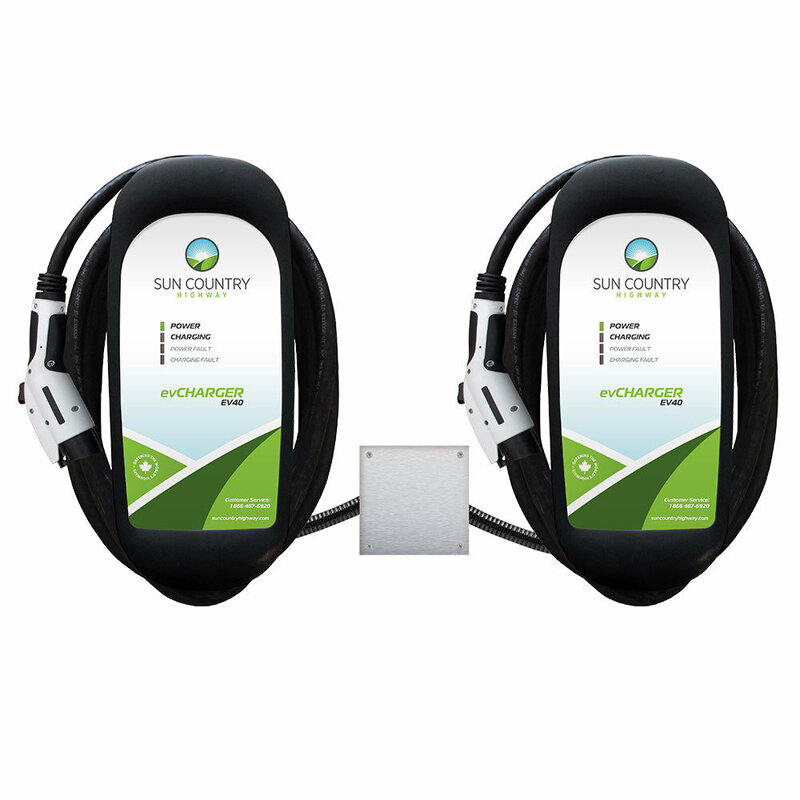 Sun Country Highway’s EV Series provides high quality and high power at a low price. The charger’s tough NEMA 4 enclosure is designed to take the wear-and-tear of everyday use in all environments, indoors or out. Built and tested to automaker standards, the EV80 ensures a reliable charge, every time. The bundle includes 2, 64 Amp (15.4kW) EV80 chargers and Share2 splitter. Share2 works with the two EV80s to share power supplied by one 80A circuit. When only one EVSE is charging a vehicle, the full charging capacity is available to that vehicle. When both EVSE are charging vehicles, each EVSE will offer 50% of the circuit capacity to each vehicle thus “sharing” the circuit breaker.